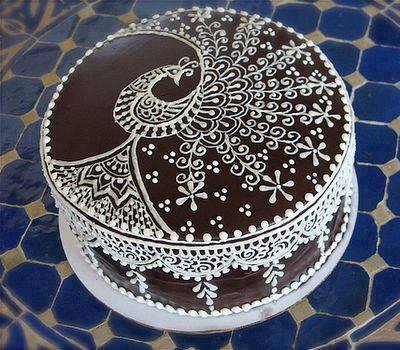 The art of henna and baking cakes blend together in a perfect and yet unexpected way. 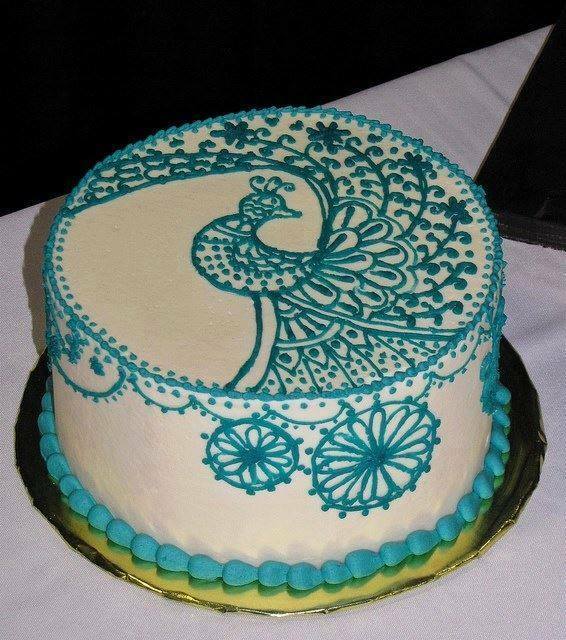 The technique is very similar as the henna on hands inspired by Indian traditional. 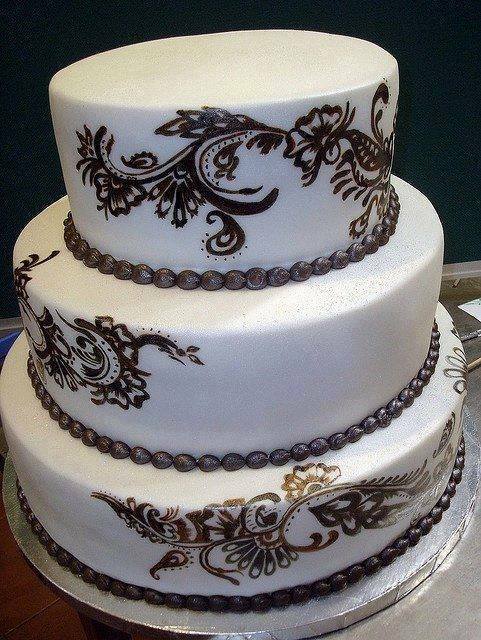 Each cake goes through a nine-step baking and decoration process, which includes colorful airbrushing, three rounds of intricate henna-inspired piping, careful placement of sugar beads, and a dusting of edible gold glitter. 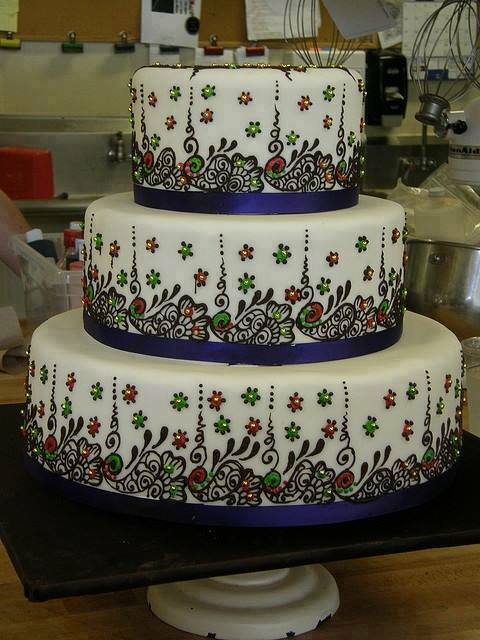 The henna themed cakes are is now popular specially for romantic wedding event. 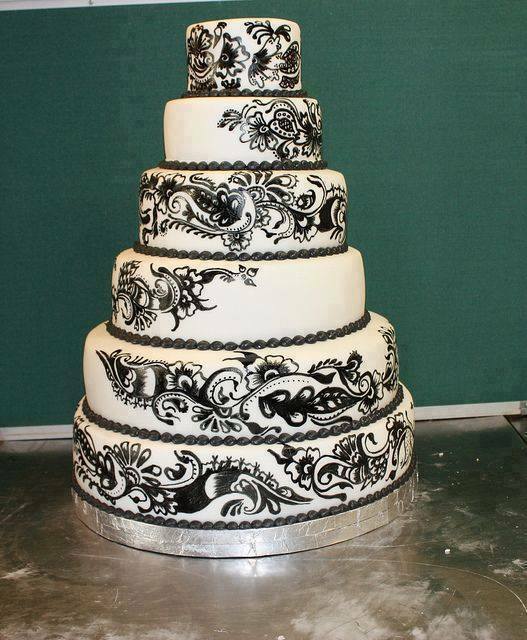 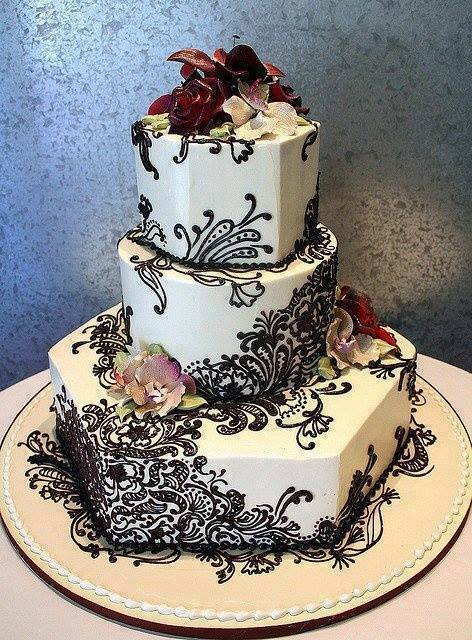 Here are some henna cake designs, endless source of inspiration.